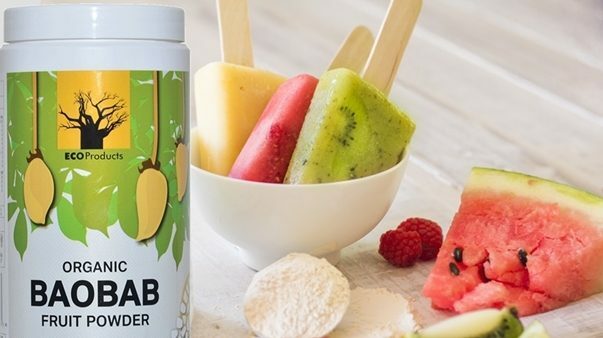 Bursting with fresh, fruity flavours with a zesty tart twist of organic baobab powder, these Fruity Baobab Ice Lollies are instant summer crowd-pleasers that are guilt-free and healthy. Baobab powder is loaded with Vitamin C, magnesium, potassium and digestive fibre. It’s also one of the richest plant-based sources of calcium at 1.5 times more than almonds. Our diets are often deficient in these minerals and baobab powder is an excellent source of these nutrients. We’ve chosen fruit for their brilliant colour and summer-sweet flavours. Try one, try them all, or invent your very own combinations! 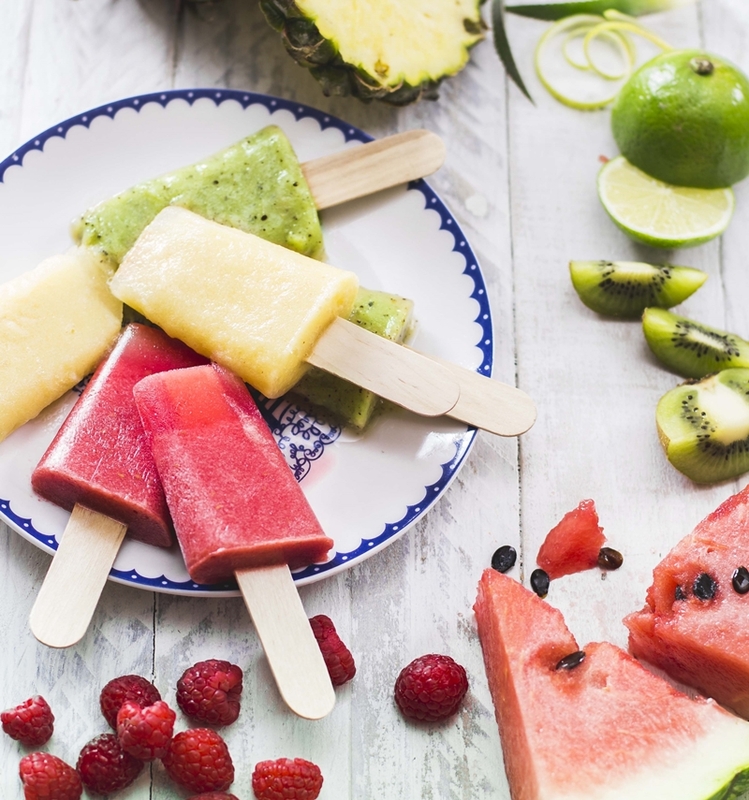 For a pretty twist on the usual, keep a few pieces of fruit aside to add after blending ; about 2-4 small pieces per ice lolly. 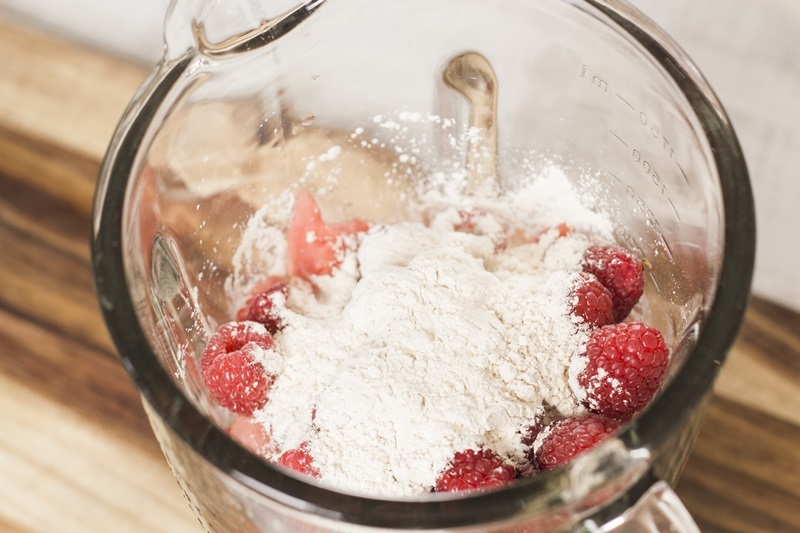 Blend the ingredients together until smooth, and pour into the moulds. 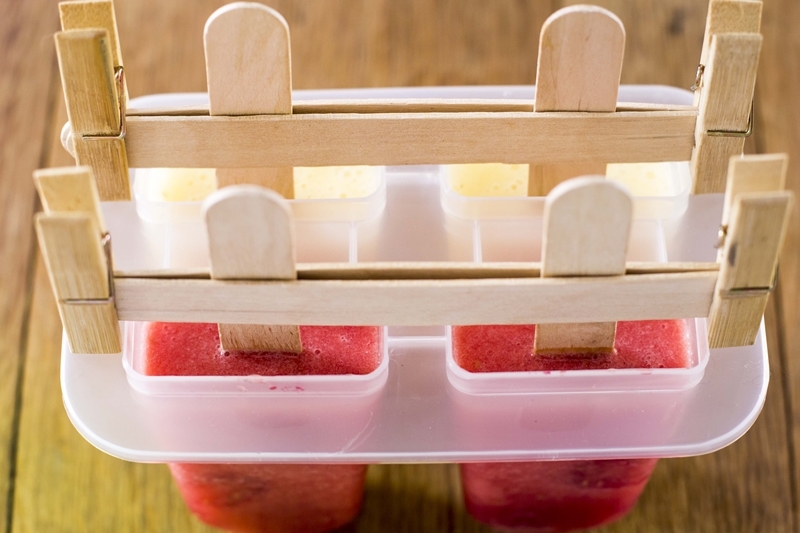 Add the fresh fruit chunks and then the ice lolly sticks. Freeze for 5-6 hours, or overnight. If you would prefer to use wooden sticks instead of the plastic ones that came with the mould set, pop in at the pharmacy and ask where they stash the tongue depressors. They make really great ice lolly sticks! Dissolve honey into a little warmed up juice, and let it cool before using as part of your 1 ½ cups. Before you pour your mixture into the mould, remember to check the height of the sticks to make sure they’ll fit into your freezer! Will make between 6-8 lollies depending on size of your moulds.